If you've been cleaning your motorcycle with a bucket of car suds or a quick detailer, chances are you been missing the most important and threatened places on your bike…those hidden nooks and crannies where dirt can hide. Why isn't that OK? Dirt traps moisture and the moisture can't dry out. The result is corrosion, rust and tarnish and you can't even see it happening. 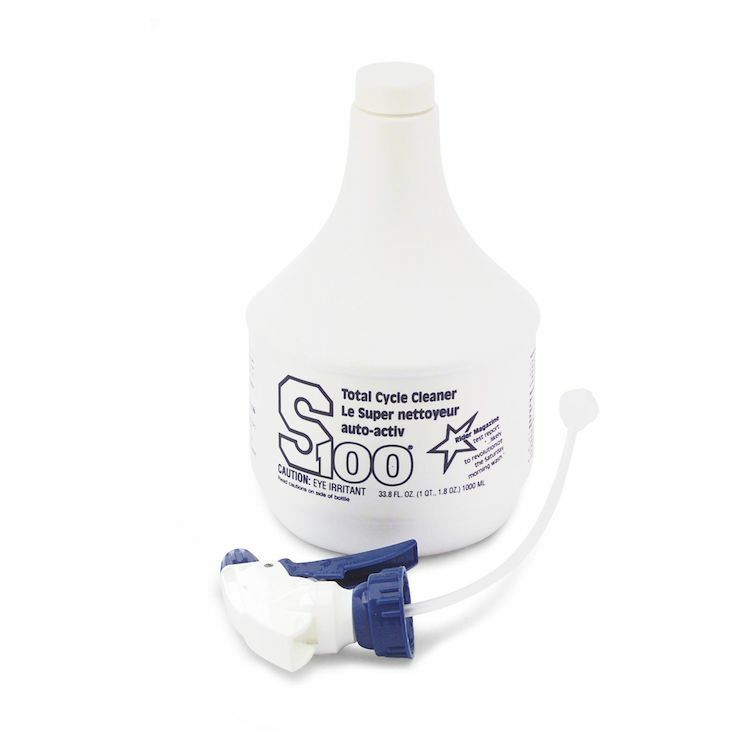 S100 Total Cycle Cleaner works differently by creeping to find the hidden soils you can't see, then penetrating and loosening them so a sharp stream of water can remove them. The result is a bike that is clean everywhere, not just where can see. Simply put, it's better for your bike. can you use it on windshields?